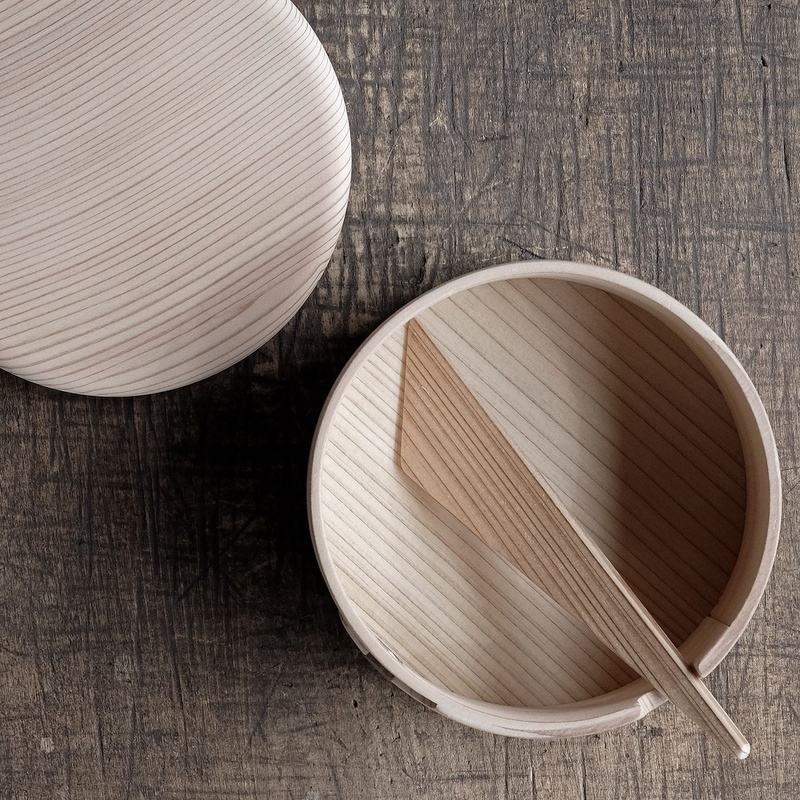 Magewappa is one of the most beautiful examples of traditional Japanese woodcraft. 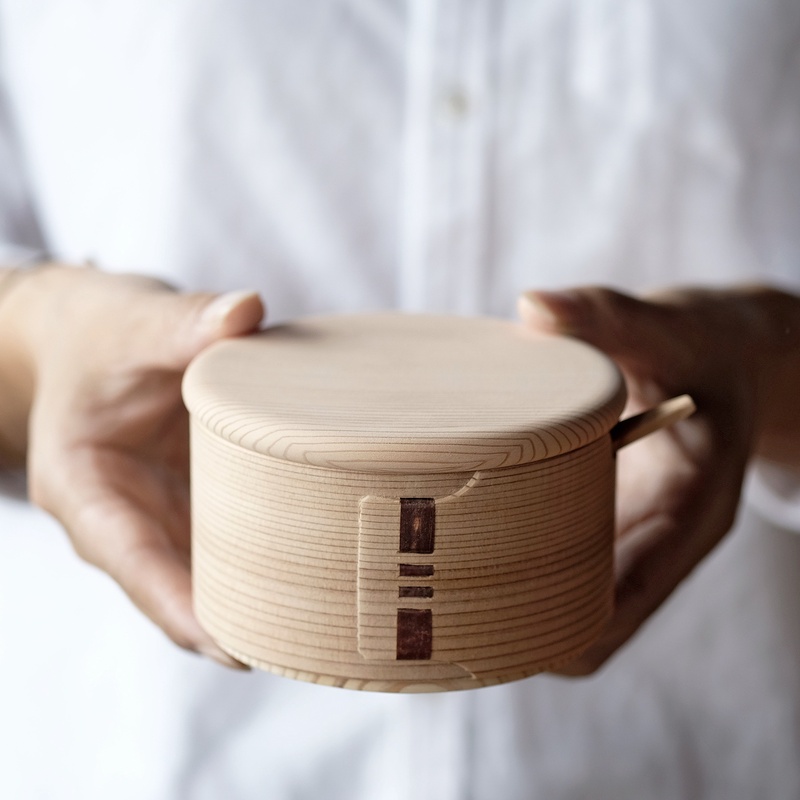 Akita cedar from 200-year-old trees is stripped, boiled, bent and tied together with bark from cherry blossoms. 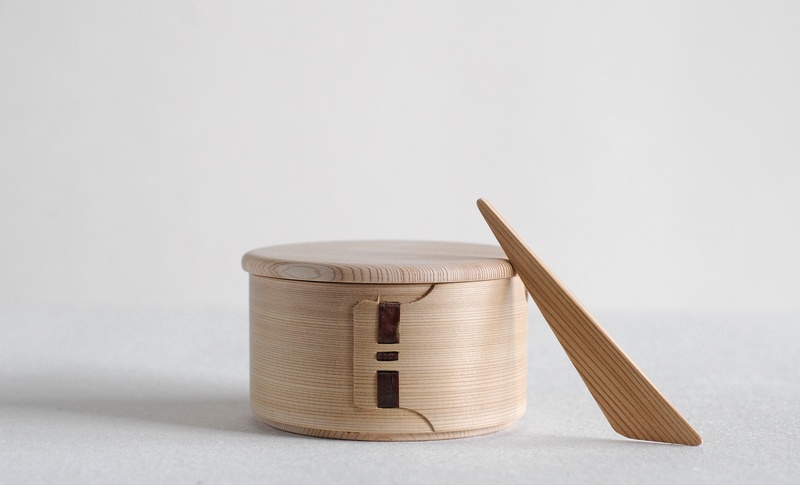 Only Akita cedars over a hundred years old, which have survived the very severe weather conditions of northern Japan, can be bent in the manufacturing process. The wood has a beautiful straight grain which is accentuated by the curves in the finished products. 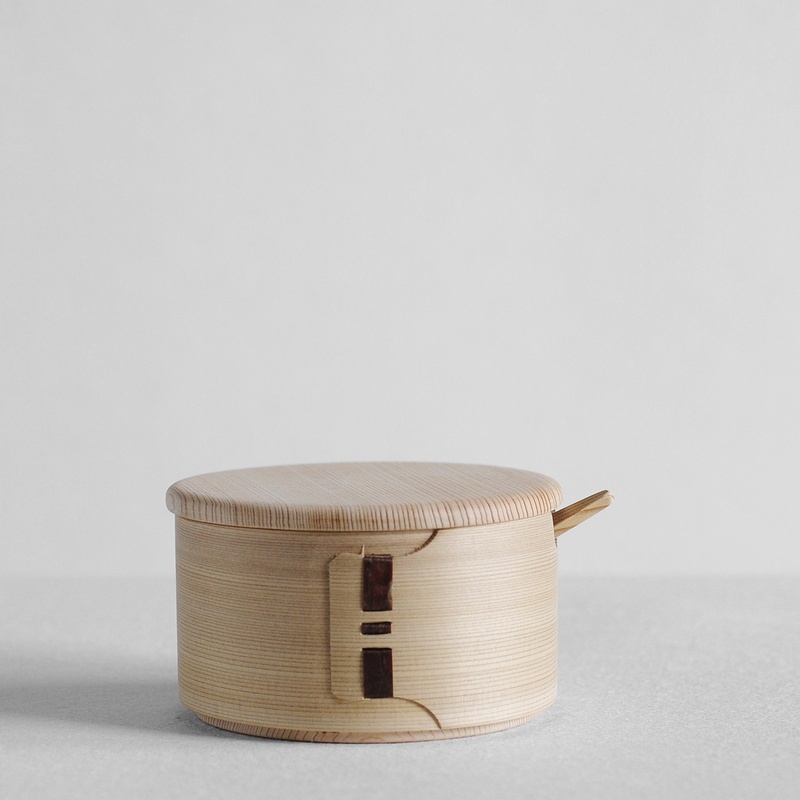 Akita cedar's natural properties will keep the butter soft while refrigerated and case will not be harmed by the fridge enviroment .The well designed knife will easily reach the butter even in the corners of the case.